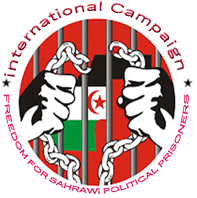 Geneva, March 24, 2019 (SPS) - Nearly 200 NGOs denounced on Friday detention conditions of Sahrawi human rights defender Mbarek Daoudi, despite the opinion made by the UN Working Group on Arbitrary Detention. Last August, the working group on arbitrary detention of the UN Human Rights Council adopted an opinion regarding the detention of Mbarek Daoudi. The UN Working Group’s opinion reveals that the Sahrawi human rights defender rarely had a lawyer and that he suffered abuses which led him to confess that the court used to convict him. Mbarek Daoudi has been prosecuted, since 2013, ahead of the military court before being transferred to a civilian court as a response of his political statements regarding Sahrawi people’s right to self-determination. The Sharawi activist was subjected to a sentence which has already ended. The 183 NGOs recall, in an open letter to the Moroccan Minister of Justice, the Working Group’s decision concerning the Case of Sahrawi Human Rights Defender Mbarek Daoudi. There is "no doubt" about the accusations to which Mbarek Daoudi has so far faced "arising from his Sahrawi identity and his political opinion in favour of self-determination,” affirmed the NGOs. However, the penitentiary administration called on the Moroccan Minister of Justice to release the human rights' defender so that the measures advocated by the Working Group on arbitrary detention can be "implemented."